The latest installment in the Babu and Bina series of picture books finds young elephant Bina imagining her life if she were Princess Bina. While the greatness of her royal self is gratifying to her, she gradually learns that she has far more fun if she's just Bina, a girl who helps her grandparents and plays with her friends. This is a delightful picture book that asks children to contemplate the benefits of just being yourself. This is an accessible installment in the Babu and Bina children series, a colorfully-illustrated picture book series for young readers. 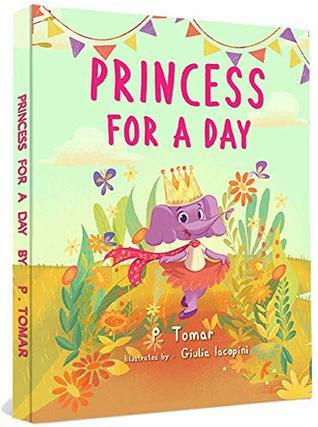 Sign into Goodreads to see if any of your friends have read Princess for a Day.